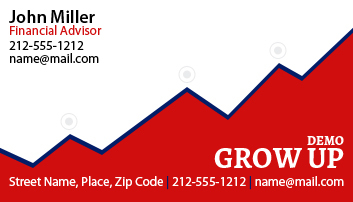 Investing in these custom 2x3.5 finance business card magnets square corner 25 MIL is a cool way for many financial services to make their service information “stick for long”. It is well suited for financial firms, services, bail bond companies, investors, accountants, and many more. Being printed on high quality gloss paper, these magnets are supposed to last longer than regular. It can be handed out to customers before the tax season sneaks in. Attractive price savings can be availed on bulk orders of this magnet. Request a quote to know wholesale price benefits for custom 2x3.5 finance business card magnets square corner – 25 MIL.